I want to start by asking a couple simple questions by a show of hands. How many of you have ever, for any reason, been critical of the United Nations? Security Council, peacekeeper, budget issues come to mind. For any reason. OK.
And how many of you have ever been critical of the United States of America, for any reason? Foreign policy, domestic policy, role at the UN. OK. So you are all here, at the United Nations, in the United States, but the vast majority of you have been critical of these institutions at one time or another for one reason or another. To me, this is like asking, are you alive? Are you awake? Are you a thinking person? Do you care about the world? Almost all of us we have been critical at some point for some reason of the UN or the US, because these are complex institutions with varying actions and inactions of all kinds on many issues. But now if I ask you, have you ever been critical of your country’s vaccine policies, you may be reluctant to raise your hand. 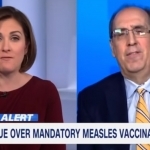 And for good reason, because in the supercharged public discourse about vaccines, were you to have answered, “Yes, I have been critical of some aspect of vaccine policy at some time,” you would likely be branded “anti-vaccine,” that fundamentalist bogey-man term. And not by a militant or fringe publication or spokesperson. 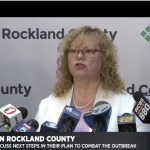 You might be branded “anti-vaccine” by the likes of the New York Times, the New England Journal of Medicine, the World Health Organization and by spokespeople from national centers for disease control and national pediatric associations. Your views on vaccines might be considered “outside the mainstream,” and equivalent to the views of those who deny climate change. You might be considered a flat-earther. 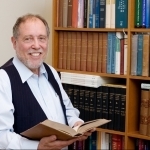 No matter if your critique were categorical, and that you truly oppose all vaccines for all people at all times, or if you simply believe, as Bobby and I and many others do, that mercury should never be a preservative in any vaccine anywhere in the world because there are better and safer alternatives. Many in the audience here today are branded “anti-vaccine,” although that is a gross distortion. We are called this primarily to marginalize and dismiss our views. 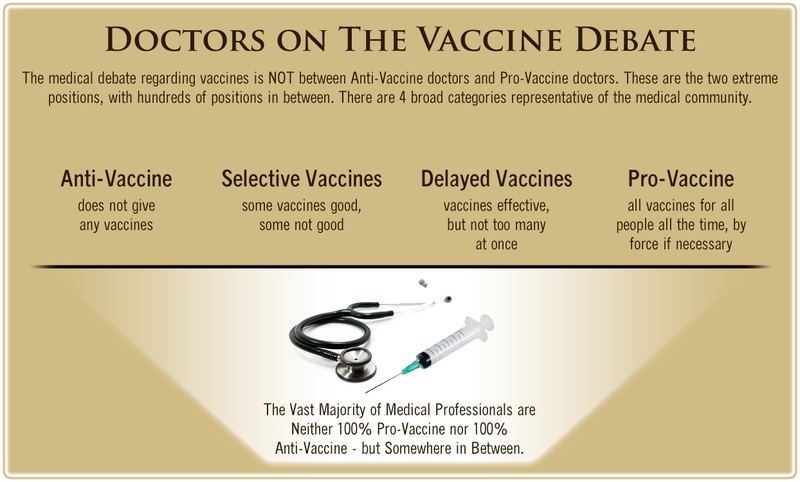 But just as most of you are critical of some aspects of the UN and the US but think they are important institutions, most of us have views that are nuanced, pro-health and pro safe, affordable, necessary and effective, or sane, vaccines. My focus today is on the role of law in protecting human rights when it comes to vaccines. How can we balance the rights of the collective vs. the rights of the individual? Vaccines, by their very nature, are a population-based medical intervention. If enough people take this medical intervention, then the so-called “herd” will be protected from the circulation of a communicable disease, based on the theory of “herd immunity.” Although individuals receive vaccines, the rationale for vaccines is for the good of the individual and the society. One of the core purposes of the United Nations, set forth in Article 1 of its Charter, is to achieve international cooperation “in promoting and encouraging respect for human rights and for fundamental freedoms for all.” So the UN and the international community have obligations to respect human rights related to vaccination. How must nations and the UN do this? That is an important question that deserves scrutiny, as it profoundly affects both individual and global public health. Since World War II, the international community has recognized the grave dangers in involuntary scientific and medical experimentation on human subjects. In the aftermath of Nazi medical atrocities, the world affirmed the Nuremberg Code which stated that the “voluntary consent of the human subject is absolutely essential.” The International Covenant on Civil and Political Rights further enshrined this prohibition against involuntary experimentation in its 1966 text, stating “no one shall be subjected without his free consent to medical or scientific experimentation.” Such a prohibition is now so universally recognized that some courts and scholars have pronounced the right to informed consent in experiments as a matter of customary international law. In other words, it applies everywhere, whether or not a country has specific laws on its books, as customary norms now prohibit slavery, genocide, torture and piracy. But what about informed consent in the area of medical treatment, including preventive medical treatment? What about informed consent to vaccination? This is a controversial issue today in many countries, including the United States. any preventive…medical intervention is only to be carried out with the prior, free and informed consent of the person concerned, based on adequate information. It further notes that the “sole interest of science or society” does not prevail. This precautionary principle in medicine leads directly to the view that vaccination policies must be recommended, not coerced. The doctor-patient relationship depends first and foremost on trust, and coercion undermines it. When the doctor-patient relationship is based on coercion, trust is a casualty, and doctors then serve the state, and by extension the society, above their individual patients. This is a slippery slope, where civilized medicine has too often derailed in the past. Dr. Leo Alexander, the chief U.S. medical consultant to the Nuremberg Trials, warned in 1949 that “From small beginnings the values of an entire society may be subverted.” He pointed out that long before the Nazis came to power in Germany, a cultural shift in the medical community “had already paved the way for the adoption of a utilitarian, Hegelian point of view,” with literature on the euthanasia and extermination of those with disabilities as early as 1931. Following the medical precautionary principle, the default position for vaccination must be recommendations, not compulsion. Individuals, for themselves and their minor children, should have the right to accept or refuse these preventive medical interventions based on adequate information and without coercion, such as the threat of loss of economic or educational benefits. Informed consent must be the default position because compulsion, on its face, not only undermines trust, but limits the fundamental rights to life, liberty, bodily integrity, informed consent, privacy and to parental decision making. Many developed countries’ vaccination policies embody this principle of childhood vaccination recommendations, including conference co-sponsors Ukraine, Germany and Japan. Other developed countries that achieve impressive public health without resort to compulsion, including the United Kingdom, Australia, Austria, Denmark, Iceland, the Netherlands, New Zealand, Sweden, Norway, Finland, Denmark, South Korea, and Spain, among others. International courts have developed a test to assess whether restrictions of fundamental rights are legitimate and lawful. The test studies whether the measure is lawful, strictly necessary and proportionate to the risk. The State enacting such a restriction bears the burden of proof that the compulsory medical intervention is lawful, strictly necessary and proportionate. Generally, the “strict necessity” element must be the least restrictive alternative to achieve the public health objective, and non-coercive approaches must be considered first. Thus, the State must show that a less restrictive alternative is not feasible before adopting a highly restrictive one. In addition to these criteria, if a State does mandate vaccination, then it has an affirmative obligation to provide an effective remedy for those who may be injured as a result. Like all prescription drugs, vaccines carry the risk of injury and death to some. The guarantee of an effective remedy is a basic pillar of the rule of law in a democratic society. And the remedy must actually be an effective one; it cannot be an illusory remedy, which in fact provides no relief. 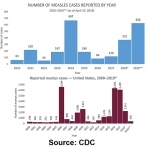 Vaccination policies have changed drastically since the early twentieth century when they were primarily emergency medical interventions for the whole population in times of smallpox outbreaks to the policies of today, when they primarily target infants and young children for non-emergency prevention of many diseases of differing severity. Legislatures and courts have had to grapple with many issues flowing from these policies, including vaccine injury compensation, religious exemptions, philosophical exemptions, the right to education, the right to informed consent, and the right to parental decision making. I provide a few examples of court decisions related to vaccination and human rights from different countries. In Japan, in 1992, the Tokyo High Court heard a case from 159 survivors of vaccine-induced injury or death. The Court concluded that the Ministry of Health had been negligent in failing to establish a screening program to exclude people with contraindications to vaccination. The court noted that the Ministry of Health had focused on measures to raise the vaccination rate at the expense of attention to vaccine adverse reactions. Furthermore, the court noted that the Ministry had not provided sufficient information about vaccine adverse events to doctors and the public. The court concluded that the injured victims were entitled to compensation as a matter of state redress. In Ukraine, in 2004, its Constitutional Court interpreted its Constitutional guarantee of the right to education on the principle of equality. It found that its Constitution guaranteed every individual the right to education. Thus in Ukraine, no child, vaccinated or unvaccinated, may be refused the right to attend school. The Turkish Constitutional Court in 2015 upheld the principle that parental consent is necessary for the vaccination of infants and children. It found that despite its Ministry of Health’s assurances that childhood vaccinations are in the “best interests of the child,” that an infant’s interest in bodily integrity may only be violated for medical necessity and based on law, and that routine childhood vaccination required parental consent. On the other hand, a January 2015 judgment of the Czech Constitutional Court upheld a public health law prohibiting young children from attending preschool without vaccinations against nine diseases unless the children have “permanent medical contraindications.” But the judgment was issued over a stinging dissent, arguing that the Court’s decision was more politically motivated than based in a rigorous constitutional legal analysis. 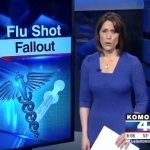 The dissent found that the majority’s decision had “turned a blind eye” to the unconstitutionality of its public health law and that as a result, the Court’s decision ultimately would undermine rather than advance the legitimacy of vaccination mandates. 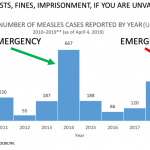 In the United States, the legitimacy of school vaccination mandates came into sharp focus in 2015, when almost twenty states introduced legislation to limit or prohibit altogether exemptions from vaccination except very limited medical ones. 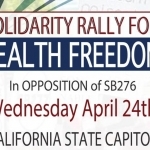 Only in the state of California did blanket legislation pass, which prohibits all exemptions save limited medical ones, although similar laws already exist in two other states, Mississippi and West Virginia. We are likely to see in the near future whether California courts will uphold or reject this new law which directly contradicts the California Constitution’s guarantee of a right to a public school education to all children. We will see whether the courts are prepared to endorse a new kind of school segregation against 225,000 children whose vaccination status does not conform perfectly to California’s mandates. 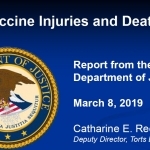 With over 270 vaccines in the global research and development pipeline, the role of law and courts in upholding or rejecting vaccination mandates and in compensating the victims of vaccine injury is critical. As we all understand, healthcare is big business the world over, and vaccines represent a growing medical market with increasingly high profit margins. If we don’t adhere to first principles of the rights to life, liberty and bodily integrity of the individual, and of the right to prior, free and informed consent in medicine, we may find ourselves with known and unknown harms. The potential for the disastrous rise of misplaced power exists and will persist. We must never let the weight of this complex endanger our liberties or democratic processes. We should take nothing for granted. Only an alert and knowledgeable citizenry can compel the proper meshing of the huge industrial and medical machinery of health with our methods and goals, so that security and liberty may prosper together…. [I]n holding scientific research and discovery in respect, as we should, we must be alert to the equal and opposite danger that public policy could itself become the captive of a scientific-technological elite. So let us be alert, knowledgeable and properly integrate the interests of global health security with global liberty. Mary Holland is Director of the Graduate Lawyering Program. She joined the NYU Lawyering faculty in 2002 and has directed the Graduate Lawyering Program since 2004. Before teaching, she clerked for a federal judge in the Southern District of New York, worked for an international human rights organization, and was an associate at two major US law firms in international transactional law. She worked for American law firms in Moscow, Russia for three years. She graduated from Columbia Law School, Columbia School of International and Public Affairs and Harvard College. Her research interest is in human rights and health law, with a particular focus on the law and policy of vaccination.